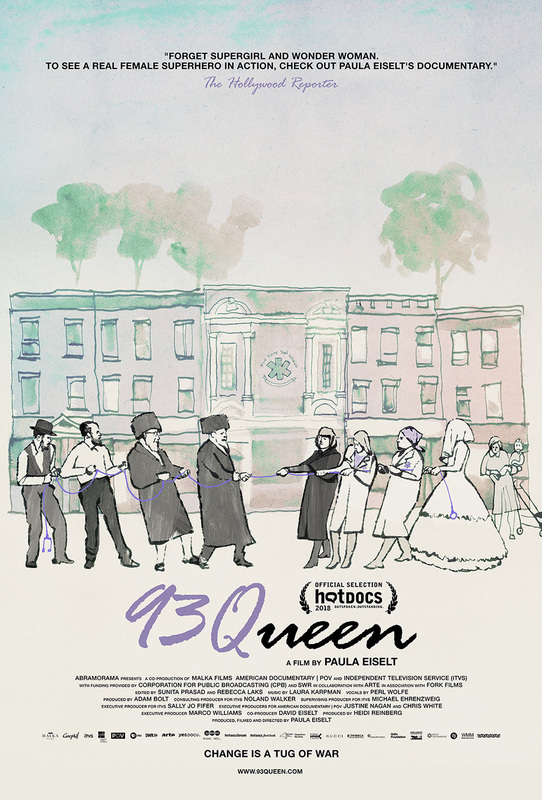 Paula Eiselt’s 93 QUEEN is nominally the story of the founding of Ezras Nashim an all female ambulance corps in Borough Park Brooklyn, the place with the largest population of Hasidic Jews in the world. 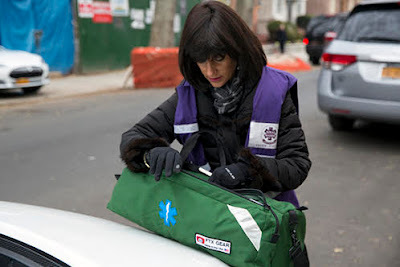 The Corps was founded because some women are uncomfortable with the idea of men they don't know helping them in an emergency. 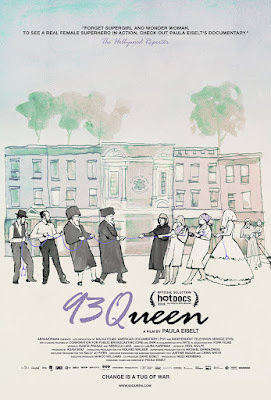 The film is also the story of Rachel “Ruchie” Freier, one of the company's founders, who fights tradition by becoming first an attorney, then a founder of the ambulance company and lastly a civil court judge. This is a female empowerment story about women overcoming sexism and prejudice to do the right thing. They are changing minds. As one of the women in the film says, she is glad that her newborn daughter is going to have role models that show her that she can do anything she sets her mind to doing. While I like the film and I love meeting all of the various women who fill the story, I kind of wish the film was a bit shorter. Because it's a feature the two stories of the founding of the ambulance company and the rise of Freier seem like they could be two movies. There is nothing wrong with either, and both are tied to each other, I just wish it was a little more focused on one or the other.